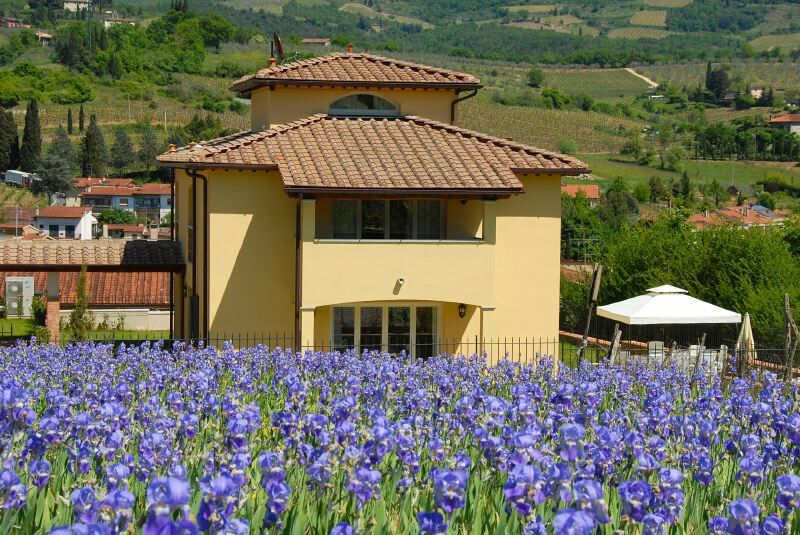 Small complex consisting of three detached houses in a slightly hilly position, surrounded by vineyards and olive trees, just a short distance from the main square of Greve in Chianti. All the food stores and various services available in the village are just a 10 minute walk away. The exceptional position of this property offers guests the chance to enjoy the pleasures of country life whilst at the same time becoming involved in the buzz of daily life and the traditions of this lovely village. Each of houses, which all look very similar on the outside, have a garden and private swimming pool. The furnishings consist of modern pieces realized in a classic Tuscan style. The houses all have central heating, air conditioning, washing machines, satellite TVs, cots and high chairs for children. Nearby there are numerous restaurants which offer excellent Tuscan cuisine as well as farms producing top quality Chianti wines that also organize tasting sessions. Florence is around 30 Km away, Siena 45 Km. GROUND FLOOR: kitchen and dining room on the swimming pool side; living room at the back and on one side of the house; bathroom with shower and laundry with washing machine, iron and ironing board. FIRST FLOOR: accessed via a beautiful sandstone staircase. There are three double bedrooms and one twin bedroom, all with bathroom and shower. THIRD FLOOR: there is a fourth double bedroom in the tower which does not have a private bathroom. However, guests can enjoy breathtaking views of the surrounding hills and use the ground floor bathroom. Detached house on four sides; 400 sq. 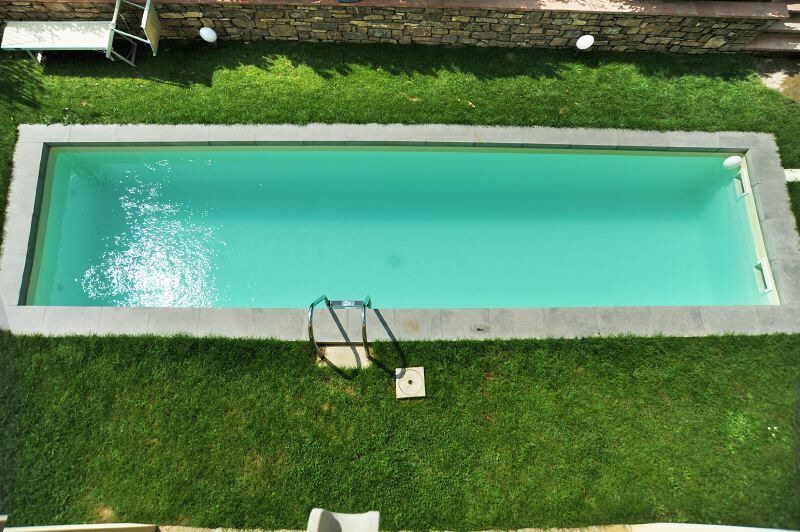 meter private garden; private swimming pool (9 x 2.150 m); parking space for 3 cars. GROUND FLOOR: living room on the swimming pool side; kitchen and dining room at the back and on one side of the house; downstairs bathroom and laundry with washing machine, iron and ironing board. FIRST FLOOR: two double bedrooms and one twin bedroom; bathroom with shower in one room and another bathroom, also with shower, in the corridor. Detached house on four sides; 200 sq. meter private garden; private swimming pool (6.60 x 3.60 m); parking space for 2 cars. FIRST FLOOR: two double bedrooms and one twin bedroom, bathroom with shower in one room and another bathroom, also with shower, in the corridor.